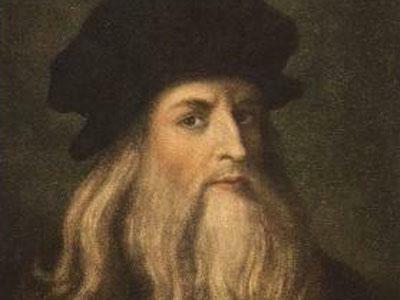 Leonardo's clients were often dissatisfied with his glacial pace, lack of professional discipline, and inability to conclude his assignments. He was frequently involved in litigation. The Confraternity of the Immaculate Conception sued him when he failed to produce the Virgin on the Rocks, an altarpiece they commissioned from him in 1483. The court proceedings lasted 10 years. The head of Jesus in "The Last Supper" was left blank because Leonardo did not dare to paint a human model, nor did he trust his imagination sufficiently. Leonardo worked four years on the Mona Lisa but never completed it, either. He carried it with him wherever he went. Leonardo's terra cotta model for a colossal bronze sculpture of the father of his benefactor and employer, Ludovico Sforza, was used for target practice by invading French soldiers in 1499. The metal which was supposed to go into this work of art was molded into cannon balls.